Single diners rejoice: Party for one? No problem — Ichiran was built for this. This ramen specialist in Causeway Bay is one of only three branches outside of Japan, compared to the 60 in the homeland that specialize in ramen for single diners. 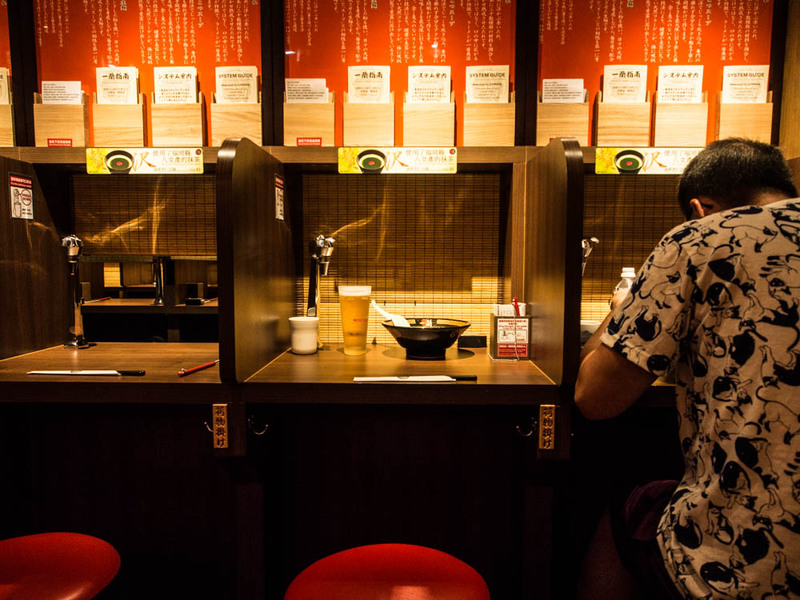 The isolated-booth style franchise has made headlines worldwide not only for its unique style, but as one of the best ramen restaurants in Japan and New York. On the menu: Tonkotsu Ramen. The Ichiran brand has been around since the 60s and Ichiran has been perfecting the white-broth noodle dish ever since. You can pair yours with some simple sides like gyoza and a glass of Asahi or even a cup of green tea if that’s your thing. Look and feel: It’s something you have to see and try at least once, which is why the Tsim Sha Tsui branch often draws a much larger crowd of tourists. 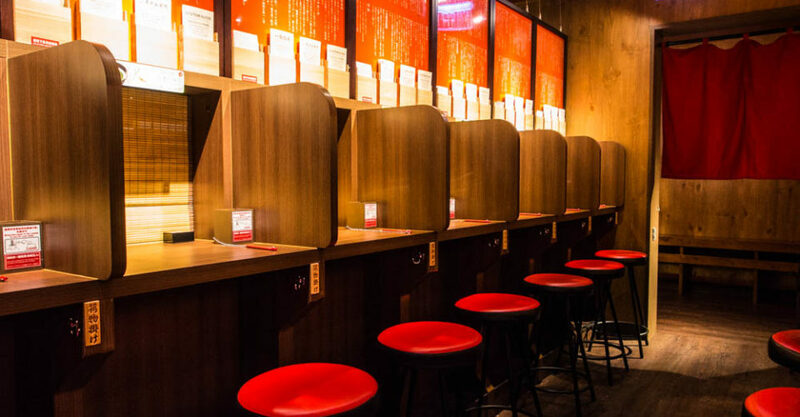 Ichiran offers anti-social pods for individual diners to enjoy their meal without interruption from pesky neighbors. Great for: Ramen is soul food, and what else is better for the soul than a big old bowl of warm noodles and char siu in a semi-private space? FYI: After you’re shown to your booth, you’ll fill out the menu on the right, ring your buzzer, and the small blind in front of you will be rolled up (pictured left) until your ramen comes, at which point you’ll be left in isolation until you bring your bill to the counter on your way out. This writeup was based on an independent tasting. The Loop HK doesn’t guarantee/sell restaurant review coverage. See our editorial policy here.